Continuing our behind the scenes series of those working at Harewood House Trust, here’s an insight into the festive season for Christmas-lover Edward. Christmas 1988. My sister opening her big present which was a pram disguised as best as any one could disguise a pram in metres of wrapping paper. I really believed Father Christmas had been! I’ve recently taken on my Mum’s baton of Christmas Cake Baker… I don’t do mine the same way she does hers, but doing it at all feels like we’re carrying on with family traditions. And all my Christmas dinner skills have been passed down from her too! I like to go to Nine Lessons and Carols, which really kicks off Christmas for me (which, FYI, is from about the week before at the earliest until after the 12 days!!). And no, Yorkshire puddings are NOT an acceptable Christmas dinner accompaniment. No, no, no. Is there a period of history you would have liked to spend Christmas in? Well that depends on whether I was rich, middle class or just poor at the time! But I’d probably like to be an adult at the time of my Christmases as a child. What music gets you in a festive mood? Once Upon a Christmas Song by Peter Kay (as Geraldine) and Gary Barlow!! (I know… appalling choices). What’s the nicest gift you have been bought? Follow HarewoodHouse on Facebook, instagram and Twitter to keep up to date with the latest stories and news from the Trust. Posted 20 December 2018 at 4.38pm by Lindsey Porter. Filed under: Christmas18. 1.What is your earliest Christmas memory? My earliest Christmas memory was looking at the presents under the tree and wondering which one was mine. My cousin (who could read) told me that a red lumpy oblong shaped one had my name on it and from then until Christmas Day I would pick it up and try to guess what it was. It felt like months until I was actually allowed to open it! I can remember the scent of the wrapping paper, but I can’t actually remember what the present actually was! Another early memory was helping my Granddad put real candles onto the real Christmas tree and then lighting them. All the candles were top heavy and wonky in their holders- even then I remembered thinking what a fire hazard it was. 2. Do you have any specific Christmas traditions? The tree goes up on 1st of December and that’s when I get the Christmas CD out for the drive to work. We aim to watch Elf, Home Alone 1 & 2, Love Actually and TV Christmas specials such as Gavin & Stacey and the Office. We also do Elf on the Shelf for our little boy and try to create more elaborate situations as Christmas Eve gets closer. On Christmas Day we normally go to see family for lunch. During my career I have worked Christmas Day a lot of the time, as of course the birds will still be relying on us for their Christmas dinner of seeds, fruit, vegetables, mealworms, nuts, fish, meat and pellets among other things. It’s always a nice atmosphere at work as we have lots of Christmas goodies in our mess room and we have the run of Harewood to ourselves, apart from the security team of course! 3. 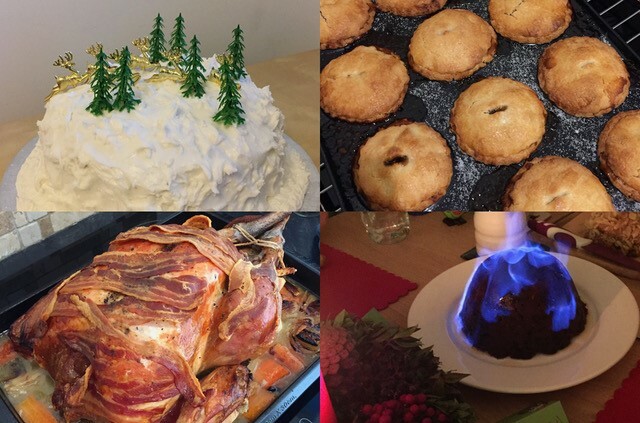 Which period from history would you have liked to celebrate Christmas in? I would have liked to celebrate Christmas in the Dickensian period, although it probably wouldn’t have been as fun as it looked on The Muppets! I also would have liked to have been a bit older in the 1980’s so I could remember it better- it was a great era for Christmas songs and the presents always seemed cooler. 4. What’s the piece of music that gets you in the festive mood? Usually its ‘Don’t Let The Bells End’ by The Darkness, although when we were frantically cleaning the Bird Garden kitchen at 7pm recently, prior to an upcoming Zoo licensing inspection, Shakin’ Stevens came on the radio which was the first Christmas song I’d heard this year and that gave me a bit of a boost as I mopped the floor. 5. What’s the nicest gift that someone has offered you / you have given? 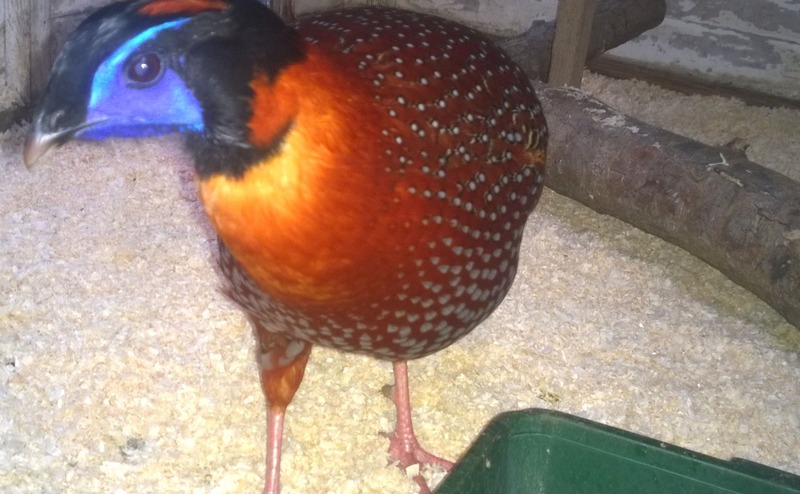 The nicest gift I have given was a marriage proposal and the nicest gift I have received was being accepted….. or a book on pheasants, partridges and grouse! Posted 6 December 2018 at 5.11pm by Lindsey Porter. Filed under: Christmas18. Here’s the very marvellous Natalie Holmes, talking about Christmas. 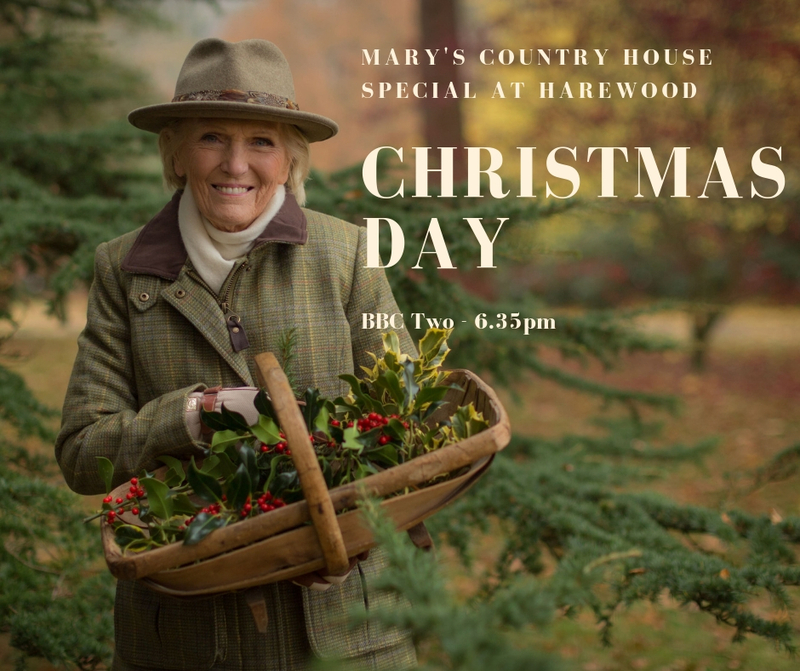 Natalie’s role encompasses many areas of Harewood, including running the outlets of the kiosk and the Horse Box, and presenting this year’s festive treats. Waking up on Christmas Day aged about four and running downstairs to find presents that were as high as the windowsill. We were always allowed to open one present before my Nana and Grandad arrived. Me and my two brothers would always sit as close as we could to the tree to see if we could see which presents were ours. Breakfast Pie. Made by my Dad on Christmas Eve to eat on Christmas morning. It’s a full English Breakfast….in a pie! Every year my boyfriend’s mum makes us a hamper, the theme varies every year. It’s the present I spend most time unwrapping every item to see what it is….. anything food-related keeps me happy. Posted 26 November 2018 at 4.10pm by Lindsey Porter. Filed under: Christmas18.